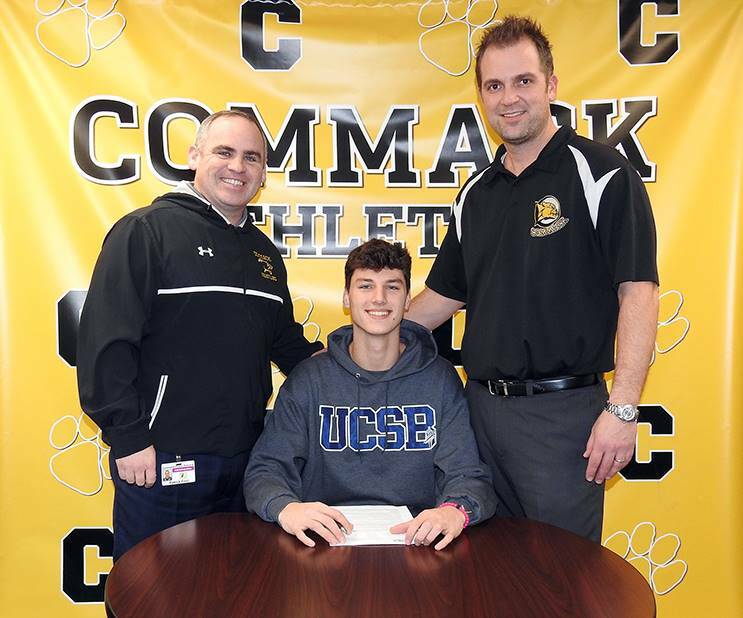 Criteria: If you have successfully completed a combination of eight Junior Varsity or Varsity sport seasons in grades 10-12 at Commack High School you are eligible for this award. Completed applications are due by Friday, May 3. Now Open! For grades 3-8 Click here for all the info. Register Now! For grades K-2 Click here for all the info. The Boys and Girls Barsity Badminton Teams are currently undefeated with 8-0 records, 6-0 non league and 2-0 in league play respectively. Both teams had big wins over Half Hollow Hills 6-3 on April 11. It was the first time in over 10 years that the boys team defeated HHH. Coming into the regular season matchup, HHH had been undefeated over the past 3 seasons. So proud of both teams!!! 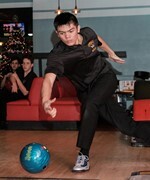 Congratulations to Avery L., who represented Commack High School at the New York State Boys Bowling Championship and was named to Newsday's All Long Island Boys Bowling Team. 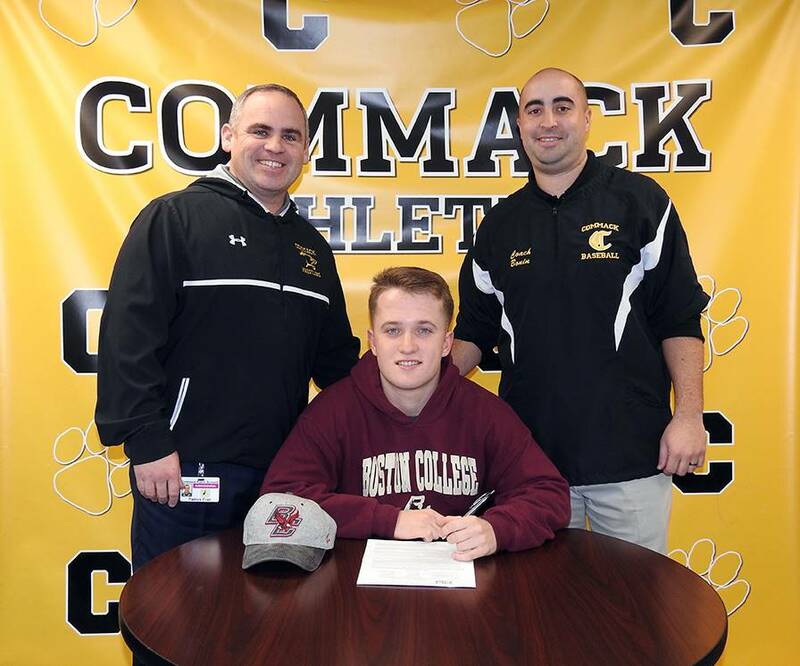 Avery finished the season with the fourth highest average of 221.2 pins in Suffolk County. NYS Wrestling Champion & All American! Another awesome accomplishment for Joey, third place in the Virginia Beach High School Nationals and All-American status! Congratulations New York State Champion Joey S. and to Jake E. on his All State Finish. 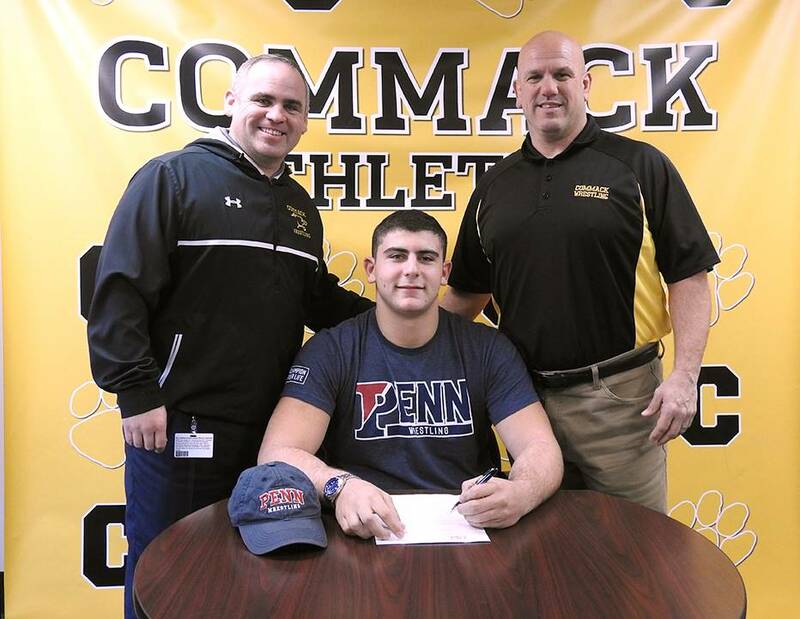 Joey is Commack's first state champion in 38 years and finished the season with a 46-0 record. Check out @CommackSchools Twitter feed for videos! On March 10, Alissa B. participated in the New Balance High School National Championship. She placed 4th in this national meet which makes her an All American with a jump of 40’ 5”. 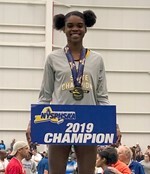 Alissa earned the NYS Triple Jump Champion title with a jump of 40ft 5in and also earned All-State Honors by placing 5th in the Public School and 6th in the Federation Long Jump Championship with a jump of 17ft 5 and 3/4 inches. 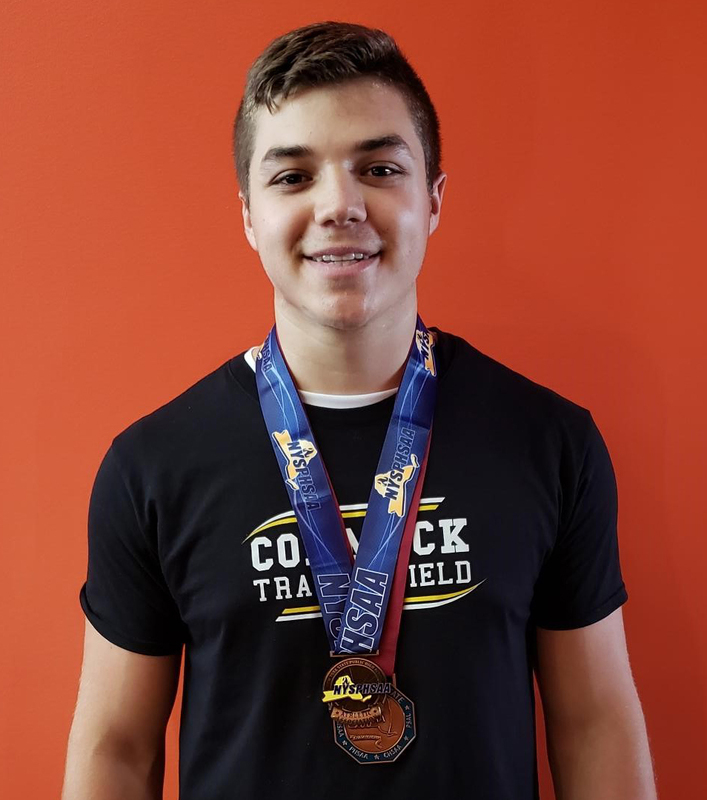 On the boys side, Nick P. earned All-State Honors by placing 4th in the Public School and 5th in the Federation Championship in the Weight Throw with a throw of 61ft 9 and 1/2 inches. Dave Moran, coach of the Boys JV Basketball Team, is the League 1 Coach of the Year! Congratulations! The JV team had a great season, too, with an 18-2 record. Good luck to our athletes, who will compete in the State Championships on March 2 in Staten Island. 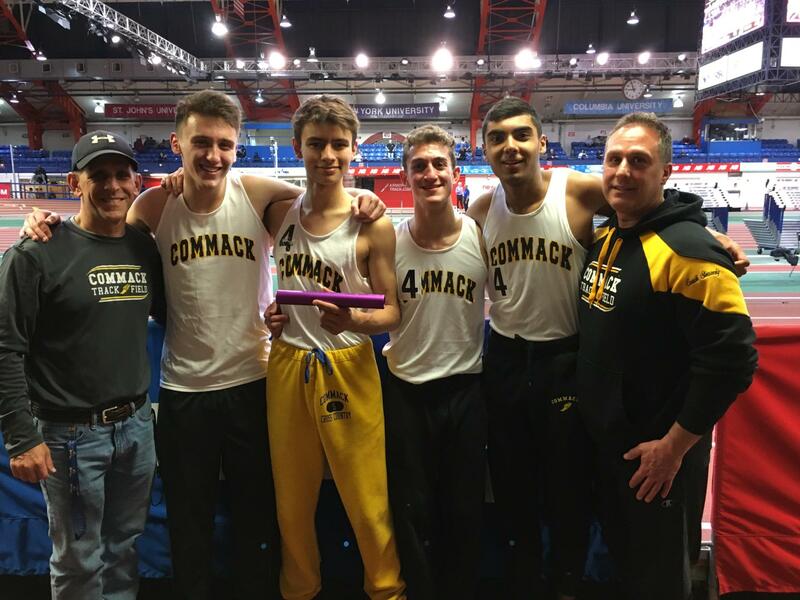 The Commack Boys Track & Field 4x800m Relay team of Vin M., The Commack Boys and Girls Winter Track & Field teams had multiple State Meet qualifiers! On the girl's team, Alissa is the Suffolk County Champion in the Triple Jump event and All-County in the Long Jump event by placing 2nd. Alissa also received the MVP award at the Track and Field Suffolk County All State dinner, the highest honor that any athlete can receive. On the boy's team, Daniel earned All-County honors by placing 2nd in the 3200 Meter Run, and Nick became the County Champion in the Weight Throw event and set the Suffolk County record in the event with a throw of 61 ft 6 1/2 in! Roshan K., Howard S. and Dan C. qualified for the New York State Championships on March 2nd at the Armory Track and Field Center in NYC . The team ran 8:02 , which is the fastest time on Long Island this season. This time ranks them 4th overall in the state. They will join Commack's Alissa B. and Nick P. at the meet as well. Good luck to all the athletes at the States! Wrestling News - League Champions! Congratulations to the League Champion Commack Wrestling Team and League Tournament Champions Ryan, Jake, Gavin, Michael, and Joey. Luke is a League Finalist, and the following wrestlers made All League: Vinny, Steven, James, Evan, Soel, and Danny. These wrestlers will be competing to become Section 11 Champions this weekend at Suffolk Community College. Congratulations to Joey S., who scored his 100th career win in wrestling, is currently 28-0 and ranked #1 in NYS in the 285 lb. weight class. 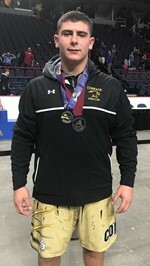 Joe also won the Eastern States Wrestling Tournament. He is now a two time Eastern States Tournament Champion. Joey S. is the Section XI Champion! Jake E. and Gavin D. are Section XI Finalists, and Luke D. is a Section XI place winner. Joey will be competing in the New York State Championships in Albany, February 22 -23, and Jake and Gavin may be as well, pending wild card entries. Girls Varsity Bowling Make History as League Champs! The Varsity Girls Bowling team defeated North Babylon on January 22 to become the undefeated (12-0) League II Champions for the first time in program history! Congratulations to: Halle, Grace, Brianna, Jayden, Taylor, Allyson, Megan, Emily, Olivia, Susan, Jenna, Sarah, Yasmine, and Jessica and best of luck as they move on to the County Championships Saturday Feb. 2nd. 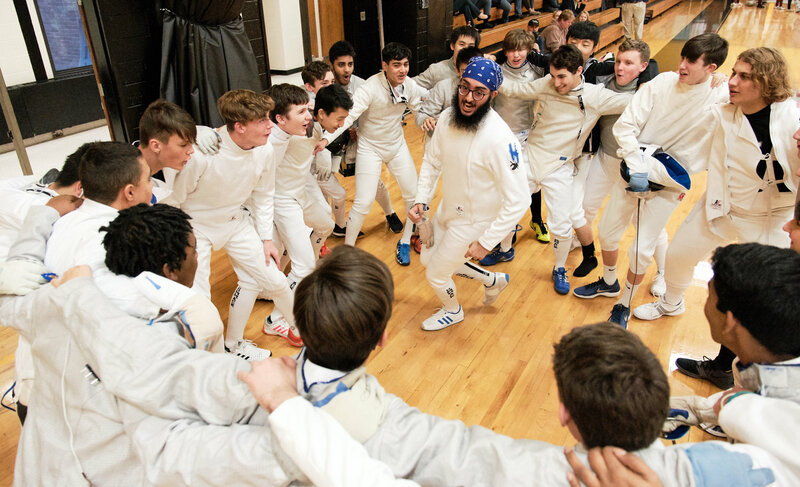 Fencing News - Boys are Co-League Champs! The Boys Varsity Fencing team are co-league champs with a 7-1 league record and placed 4th at the Counties! Our Girls Varsity Fencing team placed 2nd at the Counties and had a 10-2 record! Congratulations to Sean P. and Valerie S, who each won an Eppe championship at the Brentwood holiday fencing tournament, placing first out of 120 fencers from 19 schools! Boys Winter Track & Field Take League 1 Championship! Commack took 1st in the League 1 Winter Track and Field Meet with a point total of 95 points, beating Longwood, Brentwood, Central Islip, Sachem North, Sachem East, Patchogue-Medford, William Floyd, Ward Melville, and Middle Country. We had a number of League Champions and All-League honors. This is the team's first Winter League Championship since 2000. Commack had a very strong showing at the meet, taking 1st through 3rd in Shot Put, 1st and 2nd in 1600 meter and 600 meter races, and having two 4x800 meter relay teams finish 2nd and 3rd to seal the Commack win! These young men were awarded All League, All County, All Conference, and All State (Joey) for their football accomplishments. Congratulations to Blake, Christopher, James, Aiden, William, Jordan, Joey, Matthew, and Coach DiLorenzo! Girls Varsity Volleyball Wins the Suffolk County Championship! Our Lady Cougars defeated Connetquot 3-0 on November 8, earning the 2018 Suffolk County AA Championship! Congratulations to Coach Barone and the team for your hard work and dedication and also for your back-to-back wins as League 1 Champs! Anail-biter to the end, the bid for the Long Island Championship ended with a 3-2 loss after a vailiant battle against Long Beach. Way to go Cougars! Photos from the Sufffolk Championship game. Girls Tennis LI First Team! 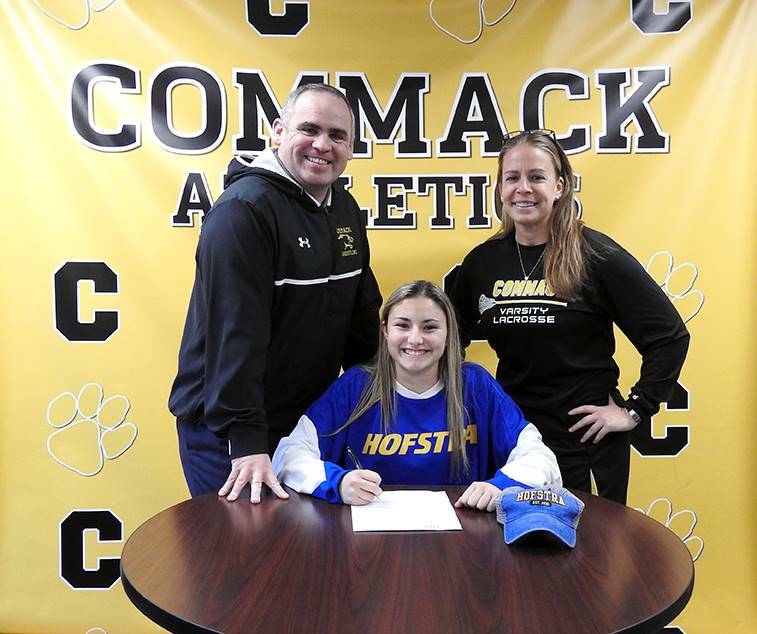 Congratulations to Emily T., who was named by Newsday to the Girls Tennis All Long Island First Team! Congratulations to our League Champions and their coaches! 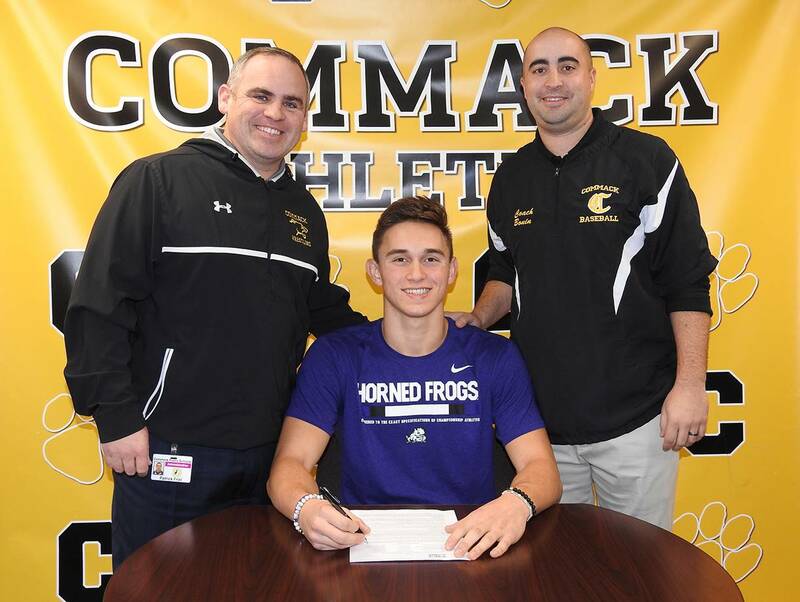 Dan C made the 1st team All Long Island for Boys Cross Country, with the distinction of being fastest XC athlete from LI at the National Qualifier meet (NXR) with a time of 16:33. 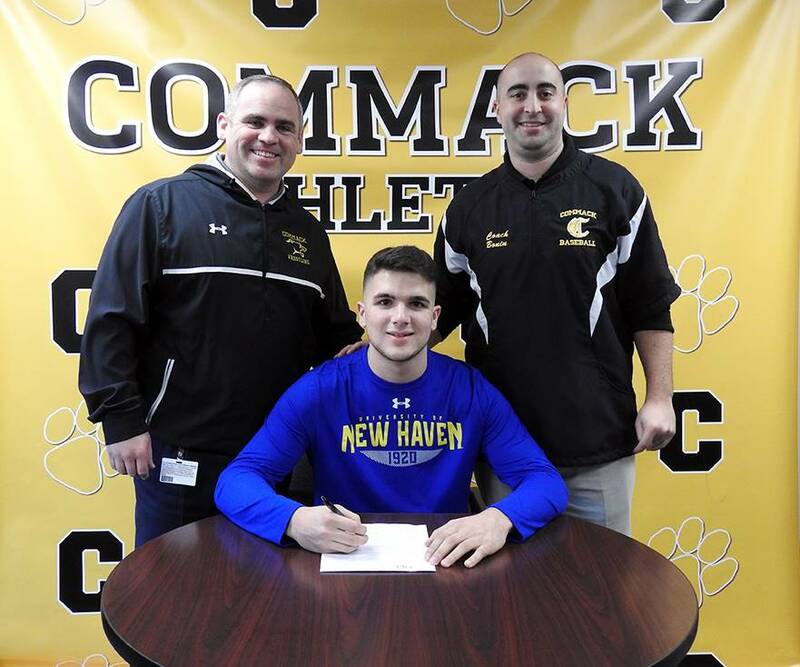 His 17th place finish makes him the only athlete from Commack to ever place in the top 20. Congratulations to Sean C. and Taylor W. who were recognized as Commack's Suffolk Zone NYSAHPERD award winners. This award is given to the top male and female Physical Education students. 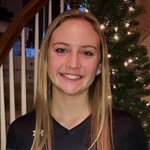 Congratulations to Abbey D, who was named by Newsday to the Girls Volleyball All Long Island First team! Congrats to our Coaches of the Year! Girls Varsity Tennis Coach Jackie Clark was named League 1's Girls Tennis Coach of the Year. Boys Varsity Soccer Coach Dave Moran was the League's Soccer Coach of the Year! Girls Varsity Volleyball Coach Anthony Barone was named Newsday All Long Island Coach of the Year and League 1 Coach of the Year! The combined Commack/Northport Girls Varsity team completed its best season in team history. After finishing the regular season undefeated, they beat Connetquot to win the League 1 title and finished 2nd to Ward Melville in the County Championships. Seven team members qualified for the NYSPHSAA Championships in Ithaca and finished in 10th place overall out of a field of 170 teams. We had multiple top 10 finishes including Commack's Denise P. who finished 4th overall in 100 yard Breaststroke. Our Medley Relay finished 5th overall. Part of our success is due to the fact the girls have great chemistry and blend together seamlessly as a combined team. Congratulations to Katie K., winner of the News12 Scholar Athlete Award. Katie is a three-sport athlete - soccer, basketball, and lacrosse. Katie will be featured on News12 and receive a $1000 Scholarship sponsored by Bethpage Federal Credit Union. The Girls XC team placed 3rd in the Suffolk County XC Championship! Congratulations to Fiona M. and Kaitlyn D. for coming in 4th and 6th place in the Girls Cross Country County Championship. For the 5 KM race, Fiona ran 19:47 and Kaitlyn race 19:55. 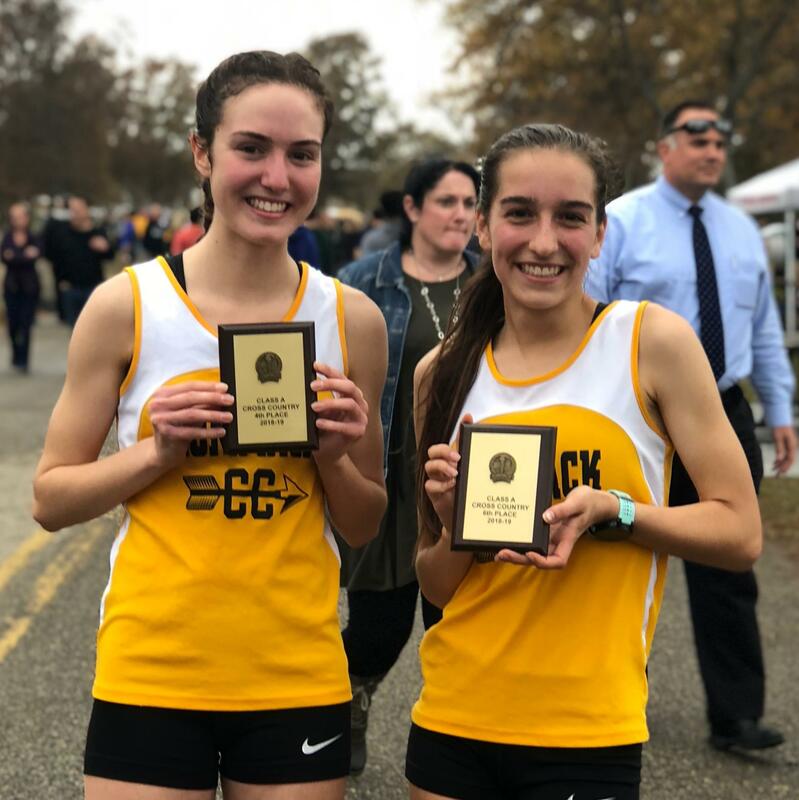 Both girls will be representing Commack at the New York State Cross Country Championships on November 10. Commack's Dan C. placed 3rd overall at the Suffolk County Cross Country Championships and qualified for the New York State Championships next Saturday at Sunken Meadow State Park. The Girls Varsity Soccer Team finished this season with 8 wins 5 losses and 5 ties. This gave us the 7th seed in the Section XI playoffs. After a first round win against Sachem North, the team suffered a quarterfinal loss to the eventual county runner up, Hills East. This season was still a success because of the chemistry and comradery of the girls. They played for each other, their school, and especially the seniors. They were a complete team and supported each other throughout the season as the 35 team members worked together in practice, pushed each other in fitness, and supported both starters and role players during the games. They were the definition of “WE BEFORE ME!” It was a pleasure to coach this amazing group of young ladies, who are one of the finest groups to come through the Commack Girls Soccer Program. The JV football team completed an amazing season by defeating Ward Melville by a score of 13-0. The teams overall record was 7-2 and out scored their opponents 213-88 over nine games. Quarterback Nick A. led the team by passing for 15 touchdowns this season and Anthony M. led the team with 93 tackles. Congratulations to the Boys JV Golf Team for finishing with a 6 and 1 record. Their one loss to Smithtown East was by 1 stroke. The Boys JV Golf Team was lead by Peter, Ben and Anthony (before he broke his arm in gym class). Rounding out the team was Thomas, Stevie, Zach, Justin, Anthony, Daniel F., Daniel G., and Gavin. Commack's Fiona M. is the Division 1 winner with a time of 19:14 on the Sunken Meadow 5 KM course at Division Championships. The Girls Cross Country Team overall came in 4th place out of 47 teams. 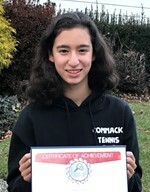 Commack Girls Varsity Tennis finished the regular season undefeated at 12-0 and clinched the Suffolk County Semifinal title 10/22 with a score of 6-1. Congratulations to Emily for her second place in Suffolk County Individuals! Congratulations to the Commack Girls Swim Team finishing the regular season undefeated (8-0) for the first time in team history. Next up is League 1 Championships, which we are favored to win, and then Section XI Championships (Counties). 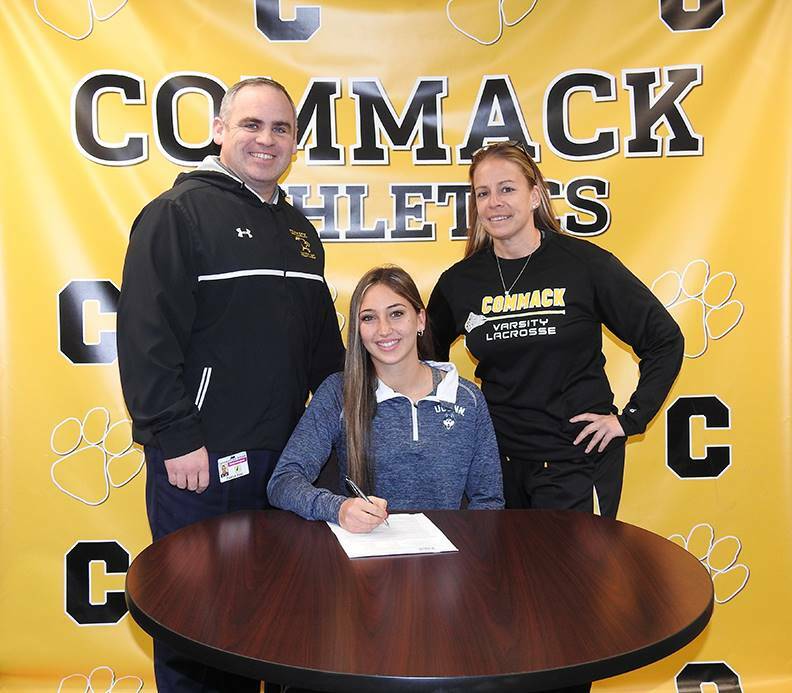 Commack swimmer Denise P has qualified for the state championship meet in 3 events so far. The team clinched first place in League 1 and went 13-0-3 for an undefeated season record in the hardest league in Suffolk County. The team was also featured on News12 "Student Takeover" with a promise from the Coach to go blonde if they win the County Championship. Watch it here! Boys Varsity Tennis v. Smithtown W.
Varsity Softball v. Sachem N.
Boys Varsity Track v. Sachem N.
Varsity Badminton v. Smithtown W.
And that's a wrap for the Winter! Girls Varsity Basketball v. C.I. Girls Varsity Basketball v. Sachem N.
Boys Varsity Volleyball v. Sachem E.
Girls Varsity Tennis v. Smithtown E.
Signing Letters of Intent for College! A student must have full medical clearance with NO limitations, to participate and receive credit for physical education. No partial participation or participation with stipulations from a doctor are accepted. Any student-athlete who is NOT fully cleared to participate in physical education will not be eligible or cleared for athletics.